Looking for an awesome potato side recipe? 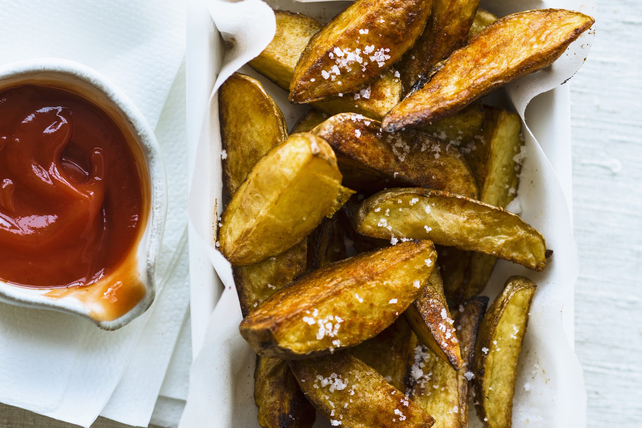 Then, try our recipe for Easy Roasted Potato Wedges with Ketchup. It's a recipe that's sure to be a hit with friends and family alike. Place potatoes in large bowl. Add dressing and Worcestershire sauce; mix lightly. Bake 40 to 45 min. or until potatoes are tender, turning after 30 min. Sprinkle roasted potato wedges lightly with coarse salt before serving.